Although today's styling is not maintained in the key of black, I believe that the individual pieces fit together perfectly. Perhaps some of you will be surprised about my pants, but I personally think that they are unique and certainly eye-catching. 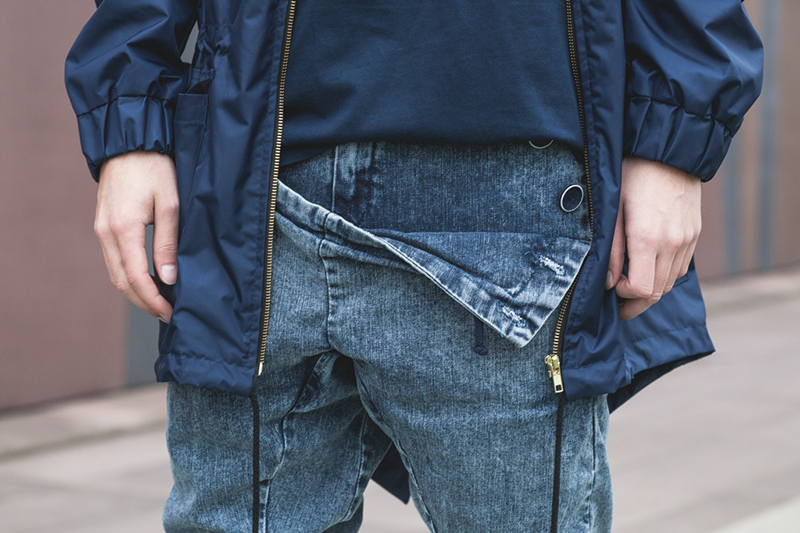 The front is sewn in such a way that it forms one large pocket. 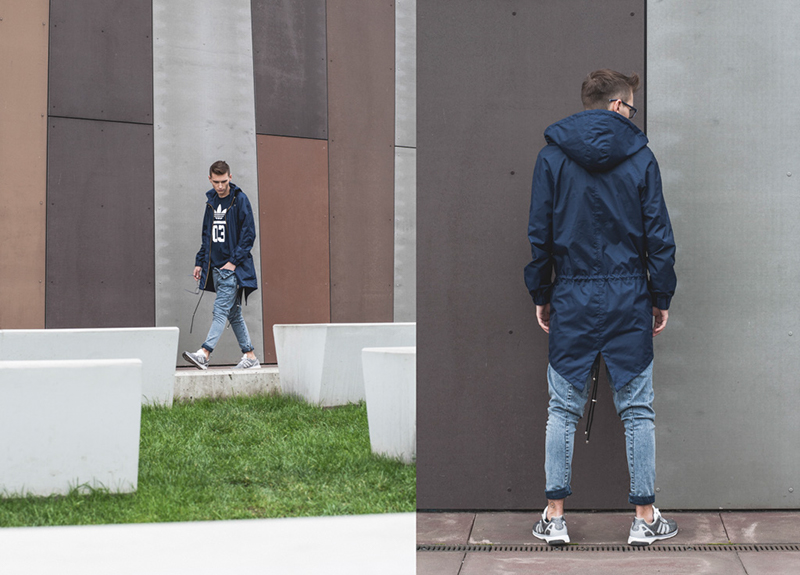 These pants and parka which are presented, come from the polish Designer Madox, which is characterized by a unique style. 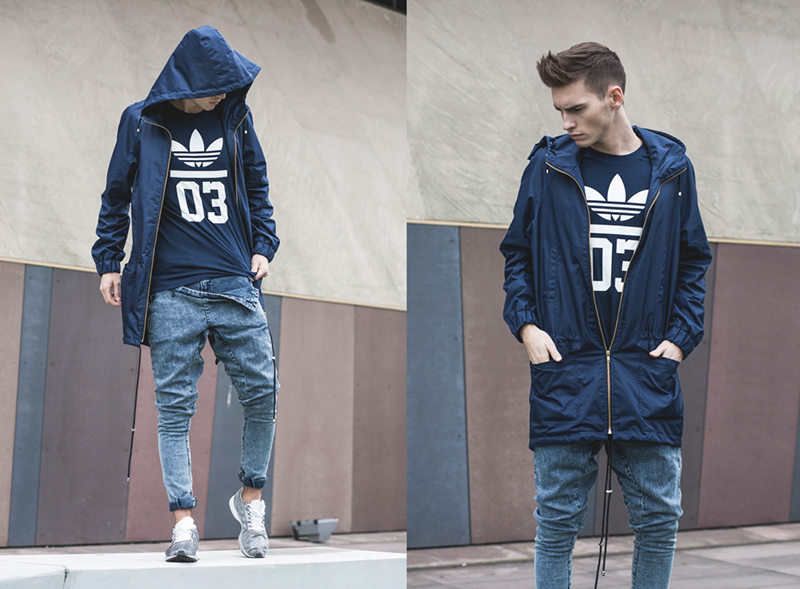 I chose a navy shirt by adidas Originals, of the same color as the parka. 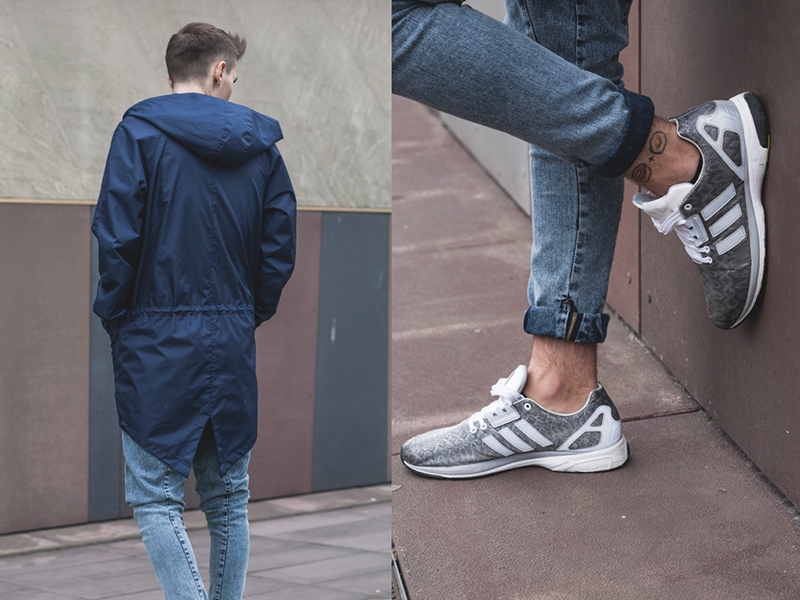 On my feet I wear adidas Originals - ZX FLUX TECH again.